ALS Awareness Month is May. 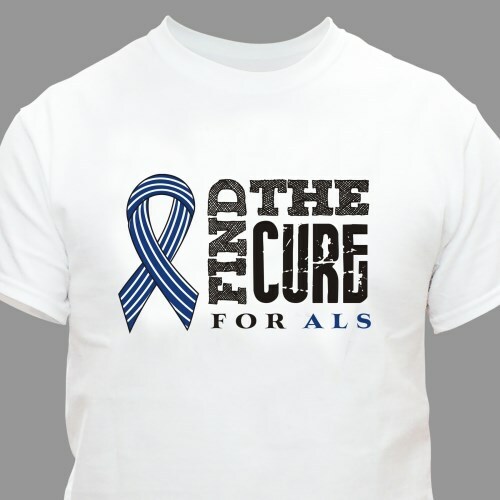 Make the world aware with this Find The Cure for ALS T-Shirt. This ALS Shirt is great for showing you care for those suffering with this disease. Show your support in finding a cure! This T-shirt is a premium, preshrunk, 100% cotton t-shirt. It is available in youth sizes XS-L & adult sizes S-3XL.